(07.19.10. Venice Art Crawl fundraisr, MTV and birthday bash at Hotel Erwin's High. (07.19.10 Venice Art Crawl, MTV bash and birthday celebrations at Hotel Erwin's High. 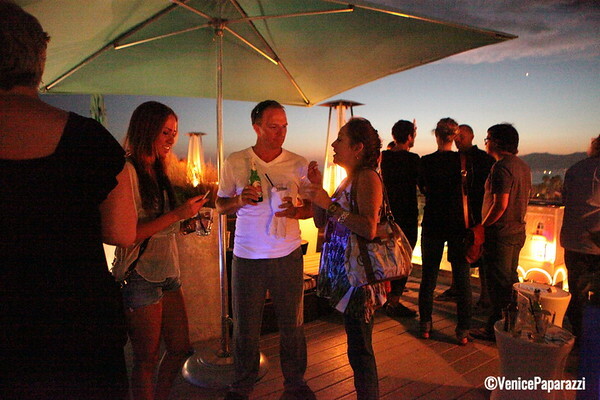 Venice, Ca) On Thursday, July 19th, Hotel Erwin's High hosted the Venice Art Crawl's fundraiser, MTV's staff party, and two birthday bashes. The Venice Art Crawl is a new monthly art event coming to Venice Beach to display and celebrate Venice Arts and artists. Get involved! Artists, curators, volunteers and pop up gallery-spaces needed for the upcoming Venice Art Crawl event happening by the beach. Get involved Venice! Visit... http://www.veniceartcrawl.com/. Thank you Hotel Erwin for hosting the Venice Art Crawl Fundraiser. By the way, compliments of Hotel Erwin, get your free digital images from this gallery by right clicking and saving, or dragging straight to your desktop. HIGH, a rooftop lounge with a 360 degree view of Los Angeles and Venice. High located in Hotel Erwin in Venice. Address: 1697 Pacific Avenue, Los Angeles, CA 90291, 310.452.1111. HOTEL ERWIN Expressive, Rebellious, Adventurous, Fun, Diverse. Hotel Erwin was voted #23 on the list of 42 “Best Affordable Beach Resorts” in the March, 2010 issue of Travel + Leisure Magazine. Follow us on Twitter @HotelErwin. http://www.jdvhotels.com or. http://www.hotelerwin.com.